This article is 256 days old. 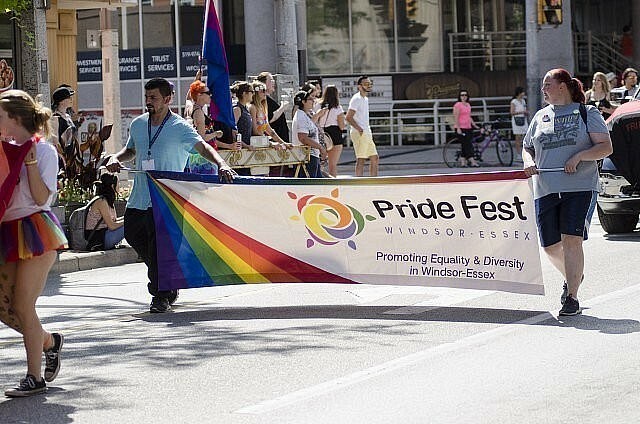 The 2018 Windsor-Essex Pride Fest kicks off Wednesday at 1pm at City Hall Square with the annual flag raising. Later in the day at 6pm, the Windsor-Essex Pride Fest and Canadian Arabs for Rights & Empowerment present a panel discussion on Arab LGBT+ community in Windsor-Essex and region. That takes place at the University of Windsor Social Work building in Downtown Windsor. The annual Pride Fest bowling takes place at Rosebowl Lanes on Thursday, August 9th, 2018 at 6pm. Then the real weekend celebration gets under way Friday at Lanspeary Park on Ottawa Street. Weekend events include the annual parade. For a full schedule visit their website here.